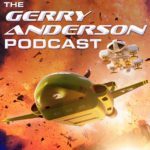 We're very pleased and excited to announce that Network Distributing has completed a major new film about the work of Gerry Anderson, Filmed In Supermarionation. It's the definitive documentary about the culturally iconic puppetry and animation technique devised by Gerry and Sylvia Anderson in the 1960s - Supermarionation - which spawned a host of TV shows including Stingray, Captain Scarlet and, most famously, Thunderbirds. Directed and produced by Stephen La Rivière (The Story Of Upstairs Downstairs, We Were ‘The Champions’), Filmed In Supermarionation is a screen adaptation of his book of the same name telling the story of Gerry and Sylvia Anderson’s TV productions using a wealth of previously unseen archive footage, new interviews with those involved, fantastic reconstructions of special effects setups used in the shows, and clips from the shows themselves - fully restored in glorious HD! The film is hosted by Lady Penelope and Parker - voiced by Sylvia Anderson and David Graham respectively - through beautifully recreated puppet sequences throughout. Filmed in Supermarionation will be released Autumn 2014, and we'll be sure to keep you up-to-date with all the details! 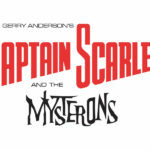 A limited edition collectors set is available to order exclusively from the Gerry Anderson shop. 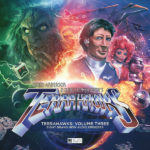 Tim Beddows, MD at Network Distributing, said: "Having grown up with the series they created, I’m thrilled to present the story of how Gerry and Sylvia Anderson and their team of extraordinary filmmakers brought the most spectacular children's television to audiences around the world. They were genuine pioneers and it's a testament to their skills that, decades on, the shows continue to thrill new generations." Director Stephen La Rivière added: "Despite being made in the 60s the Supermarionation shows have continually found new audiences. A large part of this is down to the incredible care with which they were made. “For a long time it's been my hope to make this film and tell the pioneering story of the small team of filmmakers behind these shows; a team that was so desperate to make 'proper' grown up films that they utilised all their ingenuity to push forward the then limited arts of puppetry and special effects and in the process inadvertently changed film history." The film gives an incredible insight into the sense of family and fun that were felt throughout the AP Films and Century 21 Studios, with brand new interviews with many of the supremely talented filmmakers who worked with Gerry during one of his most prolific and successful periods of his life. Network also holds the UK home entertainment rights to Four Feathers Fall, Supercar, Fireball XL5 and The Secret Service, all classic examples of the developing Supermarionation technique. The film will premiere at the BFI later in the year ahead of general release but fans can see a sneak preview of selected scenes together with a Q&A with the creative team behind it at Andercon on 19 April.